The undergraduate program combines academic study and practical movement training with an emphasis on connecting to the world of digital image. The unique program creates an empowering opportunity for students to explore experimental movement alongside theoretical study, expanding creativity beyond established boundaries. Students are exposed to a broad range of techniques that explore the relationship between film and movement. The program includes many hours of training and practice, which provide an opportunity to experiment with movement. Students develop necessary performance abilities: presentation skills, timing, and group co-operation. The space in which film arts meet the dance world is explored through the mediums of body, stage, sound, screen and voice. The primary focus of study is to expand the range of movement abilities through various dance techniques and building core body strength. Students develop movement and performance skills, with an emphasis on execution, strength building, flexibility and balance. Choreography is developed from personal material as well as in group work. Students are also taught how to direct their internal energy in the most efficient way possible. The secondary focus expands the concept of movement beyond the stage and into the world of film. Traditionally, the power of dance performance is experienced on stage in the present moment. Transference into the film medium challenges the boundaries of movement and choreography to exist without the presence of a live dancer. Fusion of these two disciplines births a new art form, which is expressed in the dancer's ability to let go of the stage and bring dance into every place. The art form reveals a new kind of movement education through continual interaction with the immediate environment. It facilitates a deeper connection to the earth through therapeutic movement and influences community development. First Year: Studies combine an introduction to film theory and foundational dance technique. Students participate in the creative process and experiment with choreography. Emphasis is placed on developing a personal concept of movement from a place of self-awareness. The syllabus also includes courses in movement philosophy and the history of choreography. Second Year: Students explore movement both on stage and in film. Course work focuses on building choreographic complexity as well as experimenting with independent artistic creation. 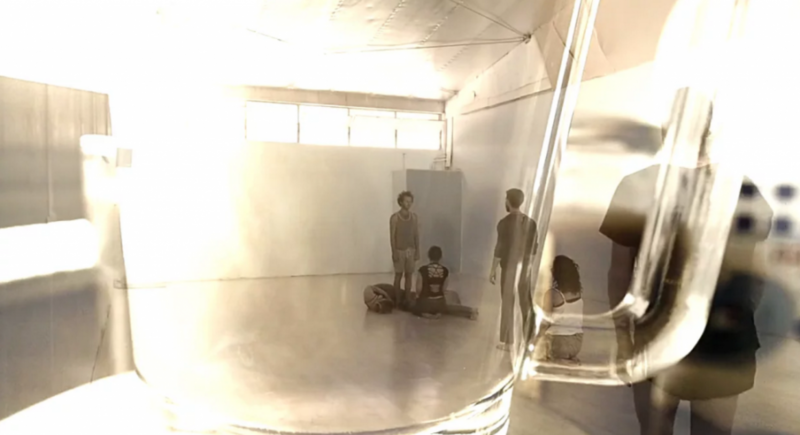 Students explore documenting and capturing live dance performance through the artistic mediums of notation and film. Other foci include body rhythm, stage timing, editing choreography, dance repertoire in film and circus performance skills. Third Year: Students explore transferring dance choreography from technique to performance, studio to stage and develop skills to combine both worlds, experimenting with a variety of techniques. Emphasis is placed on an introspective relationship with the outside world. Course work concentrates on building choreography in front of the camera, developing spatial awareness and choosing performance locations. Fourth Year: Dance students continue to refine their technique, as well as prepare their final project. Each project is overseen by a faculty mentor and weekly meetings are held with the head of the department for supervision and support. Throughout the course of study, there are master classes and meetings with artists and choreographers from around the world. Students' work is also shown at festivals outside of the college. Liat Dror and Nir Ben-Gal began their joint work in the workshop of the Kibbutz Dance Troupe in Ga’aton, then danced in the Jerusalem Dance Ensemble, and went on to study at the Rubin Academy of Music and Dance in Jerusalem. In 1988, they won the Bagnolet International Choreography Competition in Paris, and a choreography award in Cologne, Germany. Their first work, “Two Room Apartment”, opened their way into the world of dance. Dror and Ben-Gal have shown as well that a couple of independent creators, with a candid statement of local creators and using contemporary choreographic tools, can break through to the wide world and achieve international recognition. The speed of their breakthrough was amazing. A year after the 1987 Gevanim Bemahol, they won first place in the Bagnolet International Choreography Competition in Paris - opening the way for many invitations to tour abroad, at a prestige level not known to their preceding generation. The abundance of critiques in leading world newspapers turned them into ambassadors of new Israeli creation. Hence, “Two Room Apartment” and subsequent works in the following decade were a turning point for a new creation style born in Israel. It was a combination of theater movement with contemporary dance that created a very Israeli mixture whose characteristics are connected to these two as an ordinary Israeli couple, and the place where they live. Their path further on, shifting from couple work to ensemble, inspired additional couples who performed in the 90s. Although the critics praised their work in already back in 1987, its great impact was not yet clear on their development as central artists in the following decade. Dror and Ben-Gal later became a source of inspiration, and even imitation, for the next generation of independent creators. They created two more programs for duo: Donkeys (1988) and The Third Dance (1990). 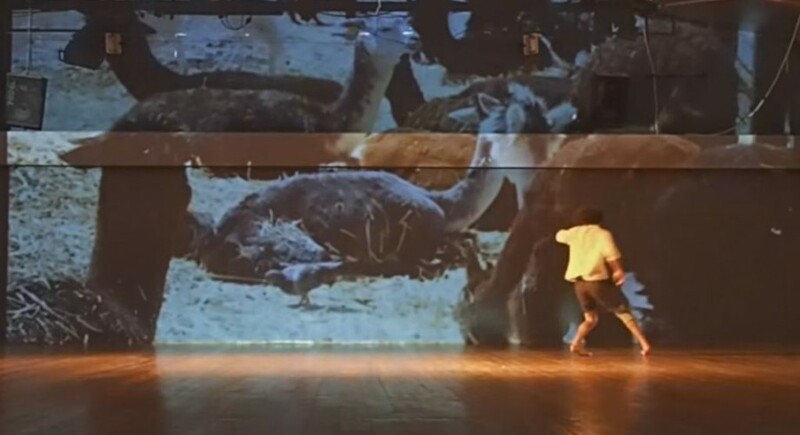 In 1991, Dror and Ben-Gal created “Rikud” for the London Contemporary Dance Theatre and Eytan Fox made his documentary “Donkeys” about Dror and Ben-Gal. When they had decided to move on from their work as a couple, they established an independent dance troupe and in the 90s performed the following works: In the Whirl of Passion (1991), Figs (1993), Inta Omri (1994), Sit and Stand My Love (1996), Investigation (1996), Dance of Nothing (1999). They were widely acclaimed, and perceived as the great hope of Israeli dance. Over the years, Dror and Ben-Gal have also taught, giving workshops on movement and observation, while running their troupe and working as choreographers. After Inta Omri, they created “Dance of Nothing” in 1999, to the music of Youval Micenmacher, with the participation of Palestinian musicians. The work was performed in a giant tent specially erected on the Suzanne Dellal plaza, and subsequently performed to great acclaim all over the world, including prestigious festivals in Europe. It was a quasi ritual of the life of a tribe living in a tent in the desert, baking pastry for the guests. When the mother’s storytelling is over, and the love, rest and dance, and when the pastry is ready, the dancers serve them to the audience. This work sealed a chapter of activity, when Dror and Ben-Gal understood that their dance as a way of life could no longer exist in the city. They moved to the desert, to Mitzpeh Ramon, in 2000, and founded the Adama school, thus opening a new page after a decade of activity, at the peak of their artistic recognition and with international acclaim. They wished to live a life in which dance is part of the routine and not detached art that dictates a fast pace of life, often highly competitive. As a place void of external stimuli, yet full of quiet and infinite space, the desert could serve as a deserving setting that inspires renewal and perhaps a connection between dance and healing as well. In the Mitzpeh Ramon industrial zone, they converted an abandoned ceramics plant into a dance studio, Adama Hanger, with living and hosting quarters. Their troupe works there, with dance workshops and weekends of movement and observation in the desert, intended not only for dancers. They also founded a school for dance and healing. At the dance center in Mitzpeh Ramon, the following works were created: The Earth (2000), Don’t Ask Questions and I Won’t Tell Lies (2001), Rite of Spring (2002), Like to Like Will Heal (2003), Hug Me Now (2004), The Earth is Shaking (2005), Kingdom of the Desert (2006), Prince of Dreams (2007), The Movement of Pearls on the Wooden Floor (2008), Air Field (2009), Terminal B (2010), Up Chi Down Chi (2012), Zen Dance (2013), Way (2014), Gluten Free (2015). In 2015, they renewed Rikud for the Skånes Dansteater in Sweden. Over the past decade Michal has danced and taught in the company of Dror and Ben-gal. She teaches yoga, dance and aerial acrobatics. She is a graduate of architecture at the Technion, movement therapy in Rotterdam, yoga at Wingate, and has received art training at Bitui Academy. She also has won prizes creating circus performances in collaboration with Roni Kalev and Orit Navo.